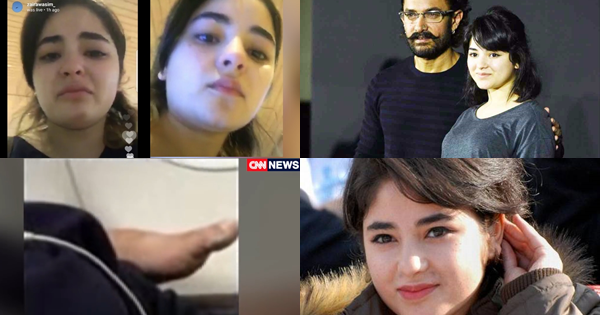 Home » celebrities » news » Dangal and Secret Super Actress fame Zaira Wasim Harassed and Molested In Flight! Dangal and Secret Super Actress fame Zaira Wasim Harassed and Molested In Flight! Aamir Khan's Dangal and Secret Super Star fame Kashmiri girl Zaira Wasim has been harassed and molested during flight ! The 17 year old girl said the man repeatedly rubbed his foot against her neck and back during the trip between Delhi and Mumbai in Vistara filght.